- Learn to -- Master change! Value Diversity! Unleash your authentic self! Live your passion! 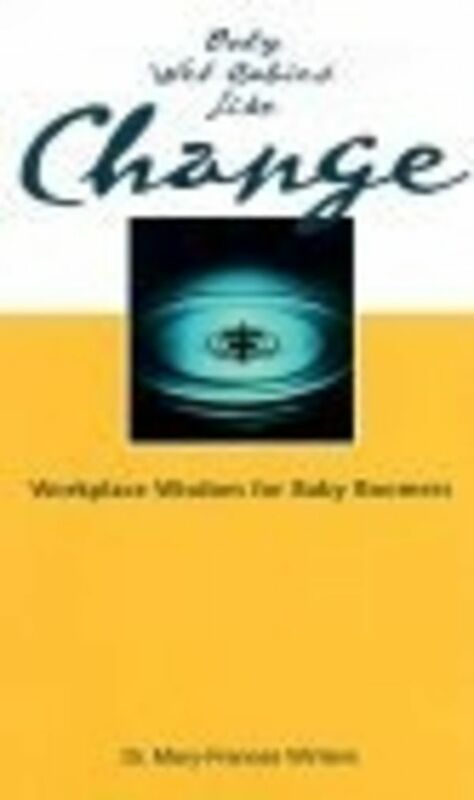 Change -- radical change in the workplace is now the norm. We are used to it, right? Wrong! For the nearly 80 million baby boomers born between 1946 and 1964, workplace change is still hard and we are not coping well. The pace of change keeps escalating and the manifestations keep showing up "road rage," "desk rage," and other more serious forms of workplace violence. In the heyday of the industrial era, baby boomers' jobs were routine, predicable, and most of all stable. We got a bit too smug, comfortable, and complacent. Like "wet babies," baby boomers got used to somebody else (their employer) taking care of their needs. In today's volatile business world, there is nothing routine, predicable, or stable. The fact is: Baby boomers have been on a roller-coaster ride of downsizing, outsourcing, re-engineering, de-layering, de-selecting, and divesting for more than two decades now. To succeed in the new world of work, baby boomers must totally transform their view of a "good job," money, the meaning of success, and their response to change. - The answers don't lie in a better economy or smarter, more ethical bosses. The answer is in finding the "authentic self" -- the "self" who may have gotten lost in the hype of material prosperity. We need to rekindle some of the principles we fought so hard for in the '60s and '70s -- self-expression, equality, fairness, justice, commitment to our passions. You can't control the economy or your employer's actions, but you do hold the power. Mary-Frances Winters has poignantly captured the baby boomers' dilemma -- living with one foot in the old industrial world and the other in the new, fast-moving knowledge era of the 21st century. Only Wet Babies Like Change offers a wonderful blend of practical "how-to's" and inspirational insights on managing change and finding your passion work. Whether you are struggling to find peace and self-fulfillment in your present position, searching for a new job or livelihood, or thinking about joining the ranks of the self-employed, this book is for you.